Specially designed for collection of urine sample for culture test, Made from crystal clear plastic for clear viewing, E.O. Sterile Individually packed. We are specialized in offering a precision range of Urine Culture Bottle. Running with an objective to acquire maximum level of customer satisfaction and trust, we are involved in manufacturing a distinctive assortment of Urine Culture Bottle. - Used to carry urine for urine test. With sincere intentions to preserve and uplift our reputation in the market, we bring forth a distinguished assortment of Urine Culture Bottle. Under the vigilance of experienced professionals, our offered bottle is manufactured using supreme grade raw material and contemporary methodology in line with set quality standards. These bottles have a specifically designed screw cap with air-vent for plant cell-tissue culture applications. The bottle is made of moulded clear glass and the cap is made of highly purified polypropylene which is autoclavable and eliminates any bacterial or fungal contamination. Urine stripe container for 50 and 100 strips and multi stripe container with wax coated wads. Cards for pregnancy and HIV test. 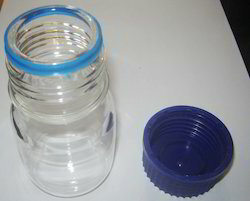 - Aseptically made round shape embossed container with and without thread closer. 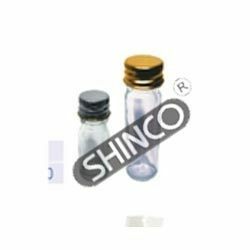 - “0 ml to 45 ml sealing embossed on container for easy visualization of the need of samples. - Stickers are tuck on container for easy identification of the sample donor. Alpha Medicare & Devices Pvt. Ltd.
500ML autoclavable Tissue Culture bottles of various sizes available with polypropylene caps. Minimum packing of 500 bottles available. Tissue Culture polycarbonate Bottles 500ml also available. Sterile/ Disposable/ Individual Packed / Printed Box Packing. When the sample within a blood culture bottle is found to have a positive result, it is necessary to obtain samples from the bottle for further testing. We are one of the leading names in the industry in offering a wide array of Urine Culture Bottles to our clients. - 25 pcs per inner box.